ENRICH GLOBAL | LOVE-RICH. ENERGY-RICH. 1. This agreement is between you and Enrich International Ltd, operating under the name of Enrich Global (EG) and relates to your participation in our retreat known as “Enrich Retreat”. 2. As a participant of EG, you understand that information, techniques, skills and concepts shared by trainers and speakers and all audio and video recordings, online training videos, information, manuals, checklists, documents, websites and other materials are not to be relied on in any way as a therapy advice. 3. Any EG materials, including but not limited to videos and texts and concepts may only be used for educational purposes and only for non-commercial use. 4. During sessions, some speakers and participants may choose to share with the audience or you during the exercises private information that they do not want to be repeated outside the EG programme/retreat environments. If/when informed, please be respectful and refrain from discussing such information outside the environment. 5. Recording equipment of any kind is not allowed during the EG Events. An official recording may be made by us and once edited, it may be uploaded or shared with participants. 6. No part of EG materials may be copied, modified, licensed, published, transmitted, distributed, uploaded, broadcast, sold or otherwise transferred without our prior consent. We or our licensors own all intellectual property rights in EG and the program materials. 7. EG retreat is a 5-day programme. A payment of €2000 must be made at the time of registration unless otherwise agreed. 8. Refund Policy. We understand that to commit to joining Enrich Retreat, you need to plan your travels, take time off work, and make changes in your schedule. That’s why every Enrich Retreat ticket comes with a generous refund policy: a full refund of the deposit can be granted up to 30 days after your payment. A refund is only eligible if you purchase your ticket up to 8 weeks before the event. Tickets purchased less than 8 weeks before the event are not eligible for a refund. Alternately, you can transfer your ticket to the next ENRICH Retreat, or send a family member in your place; provided they qualify. All transfer requests must be made at least 6 weeks prior to the event, can be transferred only once to the next event, and are non-refundable. 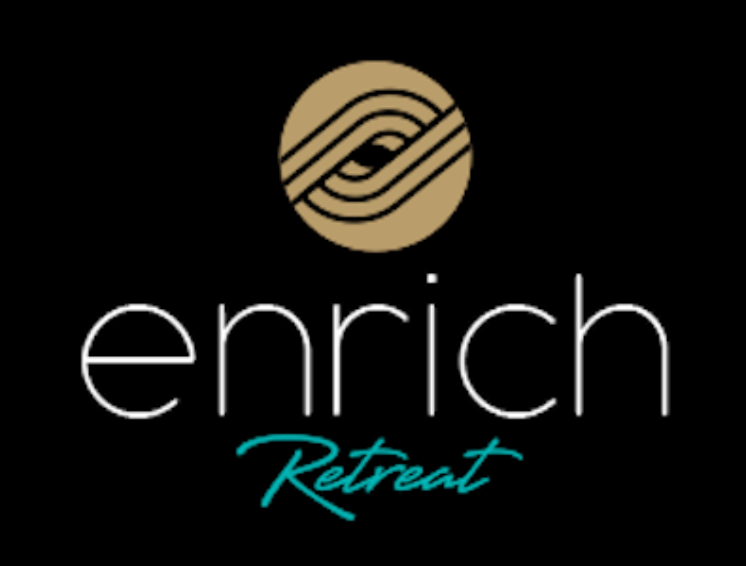 Should you need to transfer your event ticket to another Enrich Retreat, additional fees may apply depending on location and tiered ticket pricing. Tickets are not for resale. 9. If other members of your family are willing to participate, we will offer them a special discount. Please contact info@enrich.global.com. 10. As an EG participant, you may be given access to our coaching calls or webinars. If you would like to ask a question or you need support in a particular area, you will need to email details to info@enrich.global.com so we can get in touch with you. 11. With regards to all EG conferences, retreats, workshops, masterclasses, seminars and training, all fees and materials are included. At some retreats, accommodation, meals, drinks will be also included (please check the programme). Initial transportation to the place of the event, and any transportation after the end of the event, including flights and visas are the responsibility of the EG participants. 12. You understand that EG may be taking photos and filming at live events. This footage/edits may then be used for the creation of physical products or turned into online videos/audios or texts. You give permission for this to occur. 13. We reserve the right to own and change anything we deem important to programmes, retreats and conferences materials or to make other changes to EG as reasonably required. 14. No representations or warranties are made with respect to the results to be obtained from participating in EG. 15. This Agreement is governed by the laws of UK. 16. By becoming a participant of EG retreats you agree to the above points of the Agreement. Should you have any questions, please contact us via email info@enrich.global.